Date and Time: 9:00 AM – 4:45 PM Daily are the Visitor Center Museum and Gift Shop hours. To schedule a tour or for tour information call 619-283-7319 or send an email to tours@missionsandiego.com. Sited along El Camino Real (The King’s Highway) are the twenty-one California Missions, historic sites that played a major role in the settlement and exploration of the West by Europeans. The chain of missions begins in San Diego and stretches north to Mission San Francisco Solano in Sonoma and roughly follows the modern Highway 101. 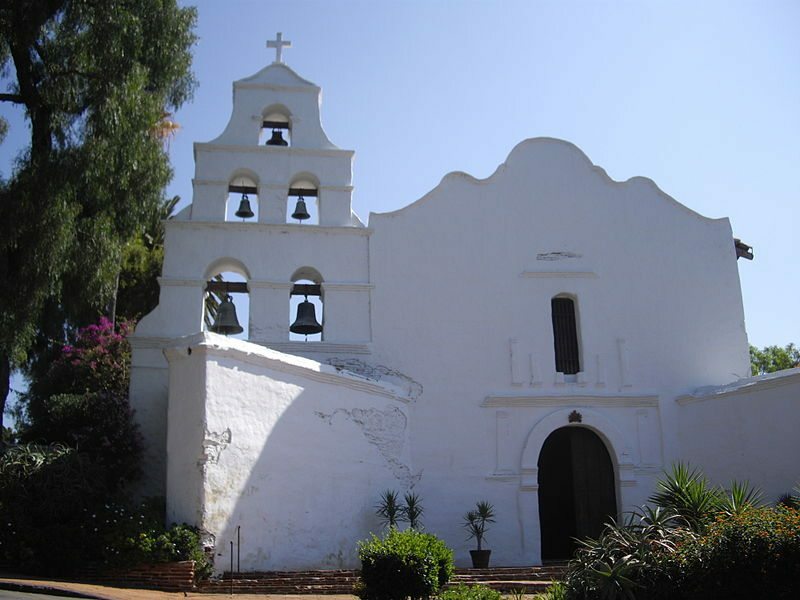 Mission San Diego was founded on July 16, 1769 on Presidio Hill with a view of the San Diego Bay. However, it was moved to the current location a few miles east near the San Diego River a few years later, in 1774. The church building has been rebuilt and renovated a number of times over the many years. The current building was constructed in 1931 – at that time only the front facade remained of the previous structure. Although the main building dates mostly from 1931 there are other parts of the grounds that are older. 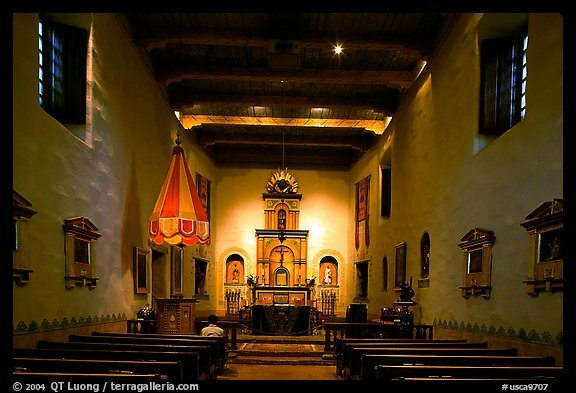 Today the main church is used for regular services by the Catholic Diocese of San Diego, but both the church and larger mission compound are available for anyone to visit, explore, and learn about the history of San Diego and California. Walking through the church, courtyard, and residential quarters of the compound is a good opportunity to contemplate the history of California and how much things have changed over the years. There is much information available at the Mission and I think it much more interesting and fulfilling to learn about while surrounded by the buildings than via an article so I’ll end my thoughts here. Mission San Diego doesn’t seem to have as much prominence as other California Missions (Mission Santa Barbara comes to mind) but I have greatly enjoyed my visits to this oft-missed attraction in our own backyard. John, we should mention that there is currently an archeological dig going on right inside the Mission’s courtyard, with displays available certain days, perhaps weekends. Also the courtyard is available for viewing and relaxation (fountain, shades, restrooms, some exhibits) for free certain days, and other days you can always go around and get in through one of the various other gates. My Gal and I sing in the Mission Choir. It is a world class choir, directed by Gene Regard for the past 37 years and has sung at the Vatican twice. We sing every Sunday at noon Mass, for free…although the basket is passed. All are welcome. Jack – thanks for the information. I haven’t been to the noon service before – I’ll try to make it out there in the next few months. Have a good one.